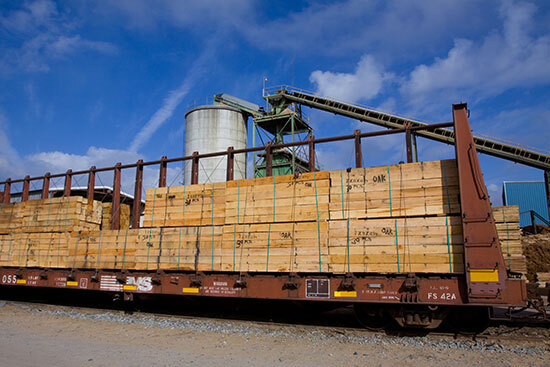 Thompson Hardwoods, Inc. has been a quality high volume producer of AAR Cross Ties and Switch ties for use in railroad construction since 1968. A rectangular hardwood support for the rails in the railroad tracks. Generally laid perpendicular to the rails, cross ties transfer loads to the track ballast and sub-grade, hold the rails upright and keep them spaced to the correct gauge. 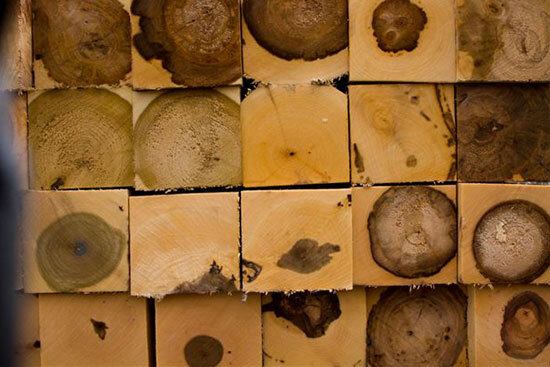 The untreated green cross ties are manufactured to Railway Tie Association (RTA) and the American Railway Engineering and Maintenance of Way Associations (AREMA) standards. 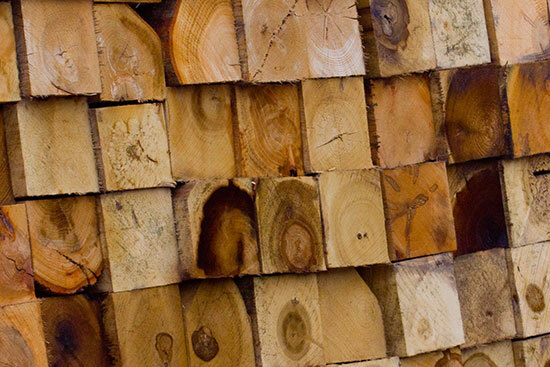 Thompson Hardwoods, Inc.manufactures all 6" grade & 7" grades of cross ties as well as 6" and 7" industrial grades of cross ties. 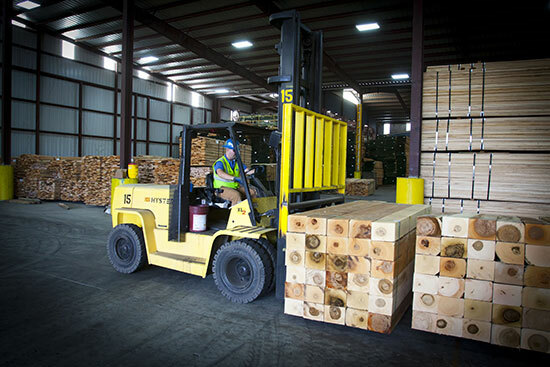 Shipment can be accommodated by truck or rail. A railroad cross tie generally 10', 12', 14', and 16' lengths for use at rail turnouts or crossovers. Generally switch ties increase in length from the from the switch point to just past where the turnout ends. From that point, two standard tracks continue. 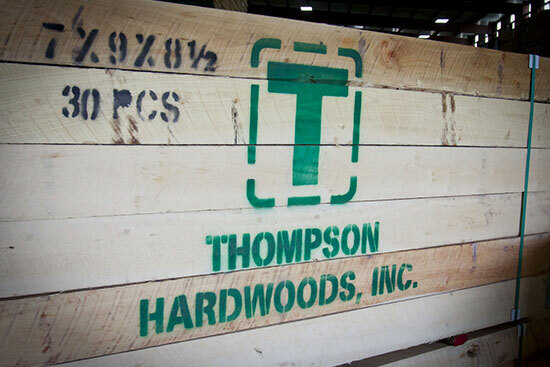 Thompson Hardwoods, Inc. manufacturers all 7" grades of untreated green switch ties and shipments can be accommodated by truck or rail. 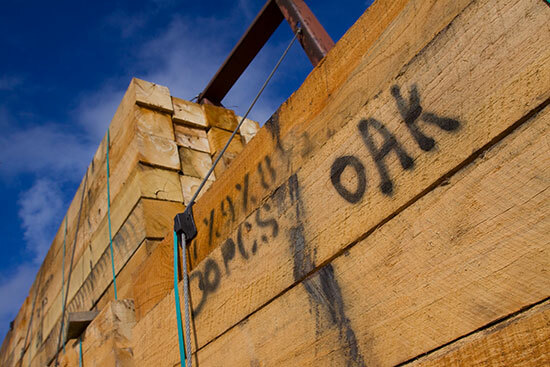 For more information about Railroad Cross Ties and Switch Ties, please contact us today.